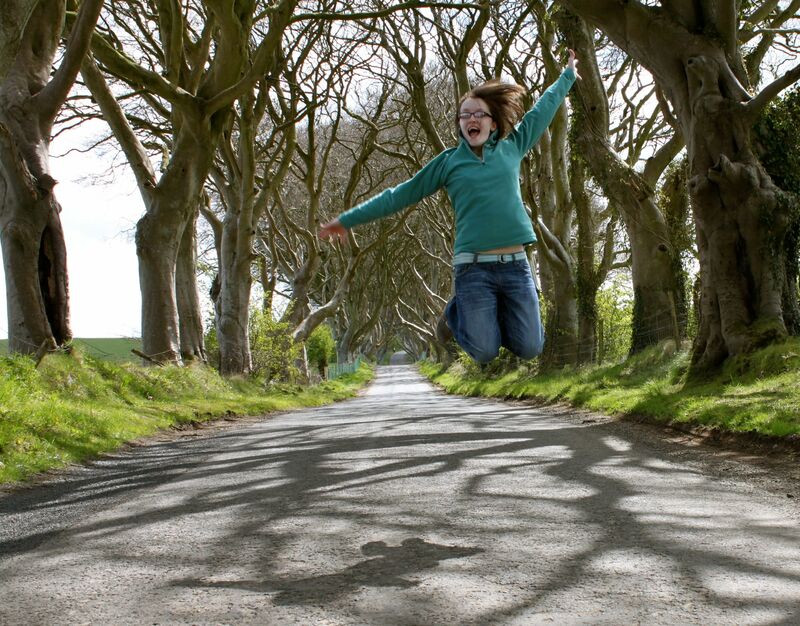 Finding Joy in the Dark Hedges in Northern Ireland. If there were ever a girl to fit the definition of a humble leader, Rachael would be her. 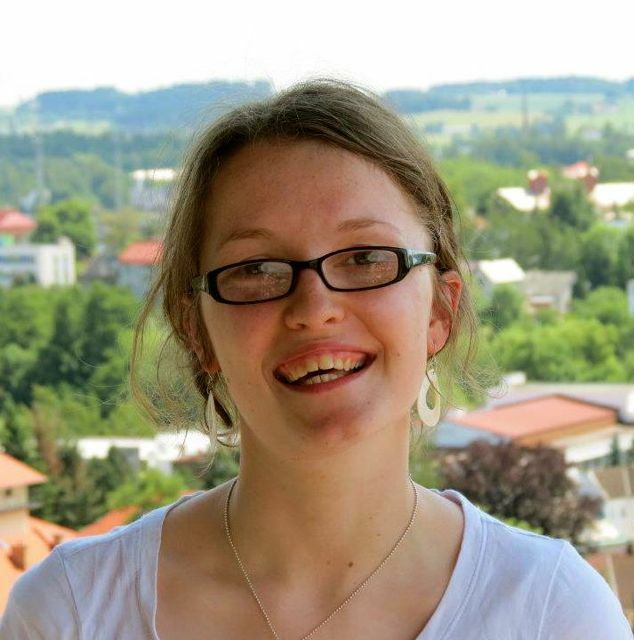 This summer, I met Rachael when we served as interns in the Czech Republic, helping lead Christian-based English camps throughout various towns and villages. Although we served on different teams, I had the privilege of interacting with Rachael during trainings, throughout the JV Amazing Race and at our debrief in Prague. One of my first conversations with Rachael was about her plans for the future and how these have changed over the years. She told me about listening to God’s call for her and how she trusts in His voice completely when it comes to the direction of her life. As a recent college grad, I came away from school with dreams and ideas that were tied to earthly things – things I had grown so accustomed to believing as the best options for my life. I wasn’t thinking about doing God’s work as much as I was thinking about all of the things I could do, the places I could go, and how the choices seemed endless. I hadn’t thought about prayer in asking for what God was telling me to do with my life. For certain things I’d ask for God’s direction, but when it came to a career, I was pretty sure I had it covered. Hearing Rachael describe her trust in God changed my ideas of my future. Over the summer, I saw her assume much leadership and responsibilities, especially when her co-leader had to leave the country for reasons dealing with visa complications. I watched her talk with other JV leaders and staff, heard from others about how she took over responsibilities at camps and how she did all of this with such acceptance and strength! 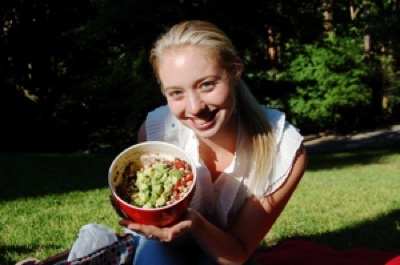 How has this summer and her time in Czech affected her life? I’ll think you’ll be interested to hear what God’s calling her to do now. Right now I am in the process of moving over one thousand miles away from my beloved Northern Ireland to the Czech Republic, where I’ll be serving as a full time missionary with Josiah Venture! Even though I’ve been to the Czech Republic five times before – four three-week trips, and one three-month trip – it still seems a little crazy that I’ll be moving to a different country, language, culture… but I could not be more excited. As part of that move, at the beginning of February, I’ll be across the Atlantic to receive five weeks of missionary training in Colorado Springs and then, after a bit more support raising while in America, I’ll be returning to Northern Ireland to continue support raising to then hopefully move out to the Czech Republic sometime in 2013! This time last year I was in the middle of a youth ministry internship in my home church, having graduated from university and moved back to Northern Ireland from Wales six months before. It was also around this time last year that I submitted my application to be a summer intern in the Czech Republic, something I’d wanted to do for years! 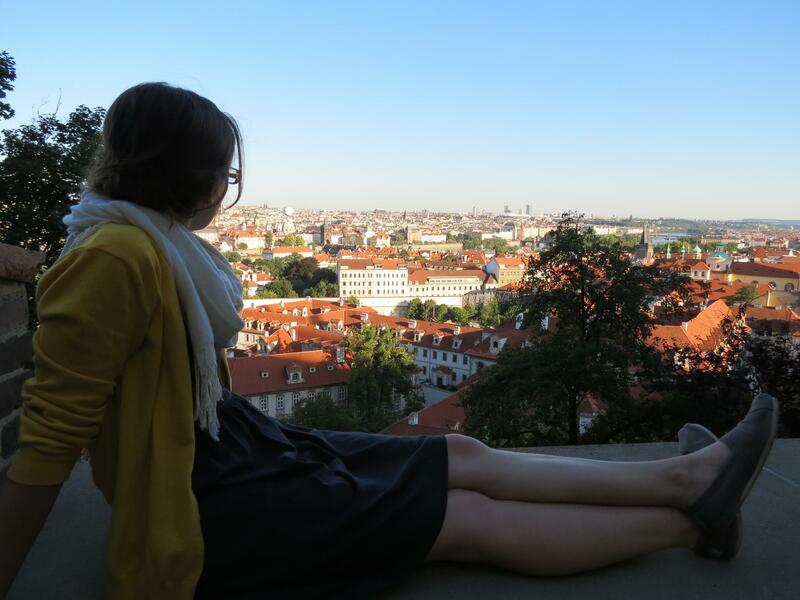 Last summer I spent three months in the Czech Republic where I led an intern team. During that time I heard about a role that was being created in the missions organisation I was serving with. I’ve felt for a few years that I was called to serve full time in the Czech Republic, so I spent some of the summer having a few conversations with the man in charge of the team I’m now a part of, and conversations with people close to me. My now-boss had also been spending time talking to people about me and the role… all this resulted in me being officially invited to join the JV family two weeks before I left Czech. I spent the next year trying to figure out where God might want me, there was another part of the world that, though I’d never been to, was on my heart. But, again, in 2009 I ended up back in Czech. As part of the year before I told God that if anything went wrong on that trip His call was not true, and I had the easiest year in Czech ever. In 2009 it was pretty much the opposite – everything went wrong, things were really difficult. And yet God sustained me and provided for me in a way I couldn’t even really fathom. And I knew that Czech was where I was supposed to be. In 2010 I returned again and, from the minute my feet touched Czech soil, I felt like I was home, that I was where I was supposed to be. In 2011 I was graduating which meant I couldn’t make that two and a half week trip but even that confirmed my calling to the country. So, it’s been a long road, a surprising road. God has been so incredibly faithful I know He will be with me and will sustain me as I move forward in my call. Oh, this is a hard one. I’ve made a ton of resolutions to learn more, run more, etc., but if there was one goal I had to pick it would be to be in Czech full time this year. As a missionary I need to raise my monthly support costs and I’m praying that God would provide these this year so I can move out to Czech in 2013. I adore reading biographies, especially those of missionaries from decades or centuries ago. As I think about moving to Czech, it’s a two-hour plane trip from Northern Ireland and with Skype and iPhones I’ll be able to remain connected with my supporters from around the world at the touch of a few buttons. So when I read about missionaries who sailed across to the other side of the world, knowing they might never return to see their families again, who were persecuted and some even martyred, their faith, boldness and courage inspires me. That the same God who called them and provided for their every need is the same one who has called me gives me joy and courage as I live out each day. God is who He says He is and I am who He says I am. I can’t believe that this is the life I get to lead, that this is what I’ve been called to – it’s so amazing and I am so humbled. And as I look at how much support I need to raise or the scary thing that learning Czech will be, I know and trust that God is who He says He is, that He knows what He’s doing and He will provide my every need. When I struggle with fears or doubt, I know I am who He says I am – I am redeemed, loved, forgiven… incredible. Something I really discovered this summer is: I get such a kick out of enabling other people to serve and live to their fullest. I may be 24 years old but when I think or talk about my role in the Czech Republic I get giddy. I get such joy out of helping others to help others – whether that involves me leading a seminar on how to teach English for short term mission teams or talking with people about their goals and how they want to grow. This is a great thing because that’s pretty much what my role as a missionary will be – I’ll be serving those who serve in the camp ministry of Josiah Venture, in all twelve JV countries, and helping to equip them to serve well. Thanks, Rachael, for letting us inside your journey for what is to be a powerful experience for you and all those you interact with in Czech! Your faithfulness inspires me and I can’t imagine a better leader to be serving in Czech. What an inspiration Rachael is and how fortunate for you that your paths crossed! Love these Strong Girl posts!